← Are you getting enough exercise? No matter if you’re out in a restaurant, travelling or having dinner at home with your friends and family. Everyone loves hamburgers and they are a big part of every menu. Why not do yourself and your body a big favour and swap your usual burger to a delicious, healthy and low calorie “Gourmet Sandy Burger”? 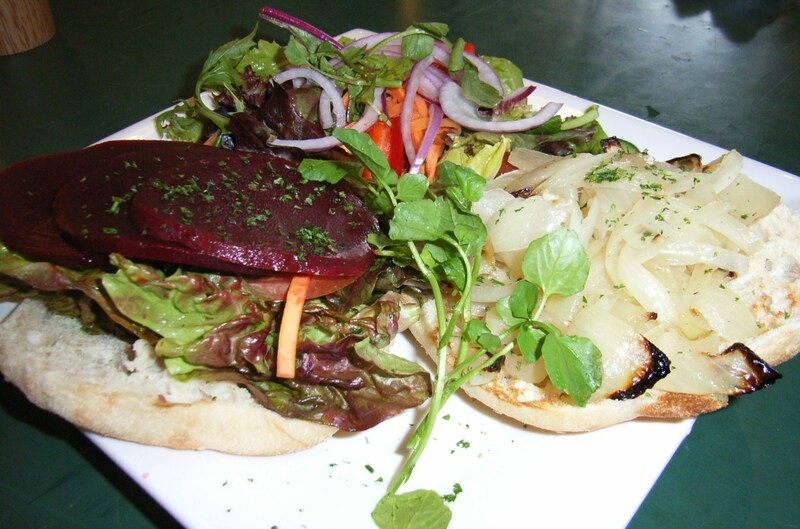 A hamburger bun or Turkish roll is great. Skip the butter. 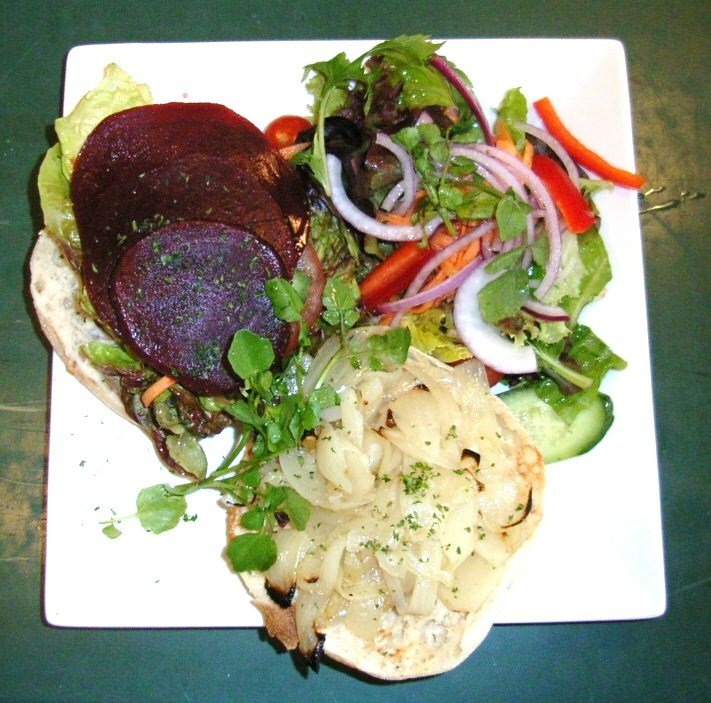 Add lots of fresh mixed salad leaves, add sliced tomato, add sliced beetroot, plus add tasty cooked onion on top. Have a big, fresh and healthy salad instead of the high calorie and fattening chips. Add some sauce and pepper if you like. Tip: If you make your burger at home use a wholemeal roll – it’s even better for your weight and your health. Enjoy! … and invite your friends as well. This entry was posted in Fantastic Ideas, Great Recipes, Travel and tagged chips, cooked onion, diet, Gourmet Burger, Hamburger, hamburger recipe, healthy recipe, lose kilos, lose weight, low calorie burger, menu, restaurant, Sandy Bröcking, Sandy Burger, think smart, weight loss. Bookmark the permalink.